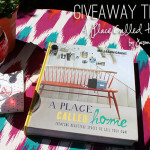 Best of Interior Blogs Book Giveaway!! 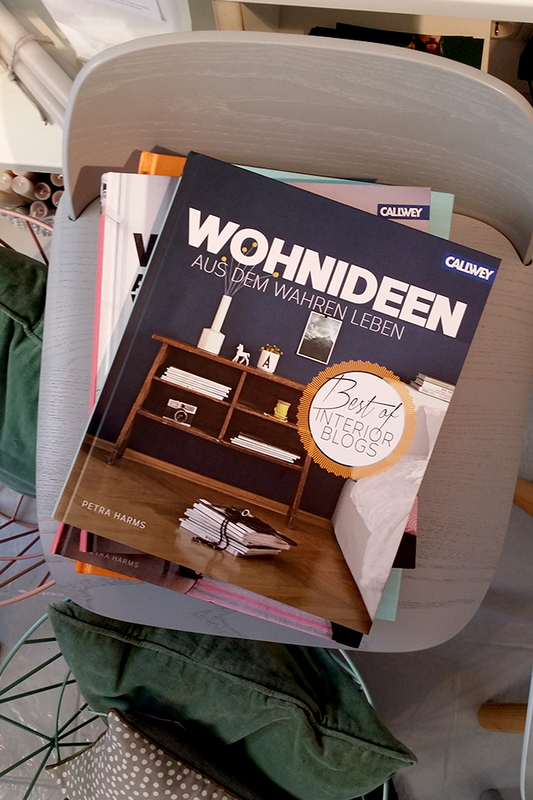 You may remember me telling you recently about Callwey Publishing’s new book, Wohnideen – Aus Dem Wahren Leben (Home Ideas from Real Life, roughly translated) in which I and 14 other interior design bloggers from across Europe are featured. It’s a huge privilege to have been a part of this when there was just an incredible amount of talent represented and the entire weekend was certainly a highlight in my blogging journey so far. You can catch up with all of that here. Despite the fact that the text is in German (it is a German publishing house, after all), the book is absolutely packed with inspirational images of beautiful homes that are totally accessible. Not only that, each image is credited with the blog included so if you really love someone’s particular style, you only need to hop online to view more from them. It’s a genius way to pull a publication together and a wonderful way to discover new and exciting blogs you may not know about! It also goes through numerous trends within the book – from Tropical to Granny Chic to Vintage – there are plenty of inspiring images to enjoy. I am very excited as I have 3 of these books to give away – I promise you do NOT need to be able to read German to be inspired – as they say, a picture is worth 1000 words and this certainly holds true for this gorgeous book. I’m going to open it up as well to ANYONE IN THE WORLD – not just UK only. Yes, this is coming out of my own pocket but I want you guys to have the chance to own something that’s precious to me and that I feel really proud to have been a part of. What do you need to do to win one of 3 of these books? It’s simple. Subscribe to my email notifications and in return, you’ll receive my free PDF, ‘How To Create an Eclectic Boho Glam Look on a Budget’ – if you are already a subscriber (thank you! ), then you only need to leave a comment! Just click here to subscribe and enter. That’s it! And be sure to include your email address when you log in to comment or else I won’t know how to reach you! I’ll announce the winners on this post on the 4th of November and contact the winners on the same day. Competition is now open and will close at midnight BST on 3rd November 2015. Please see T&Cs here (opens in a new window). Featured on Houzz and a Competition! 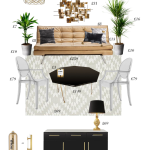 Interior design has inspired me to be more bold and create more for my own house! I am slightly (okay very!) copper obsessed and since it’s finally become a huge trend in Interiors in the last couple of years I’ve found so many copper pieces that makes home feel so much more ‘me’! For years i would longingly look at interior design blogs/sites waiting for the day that i owned my own home. I love the inspiration that i have drawn from them and have been able to create my own style, its given me the confidence to take risks and be bold in my decisions, I’m still along way off completing my home so more inspiration is most welcomed. Interior design allows me to feel peaceful, safe and inspired in my own home and office. Design is the medium by which I express who I truly am and create a space that I adore. When I put together a room, I don’t settle for it simply “looking nice.” It only feels right once there is the correct balance of “Catherine” and functionality. 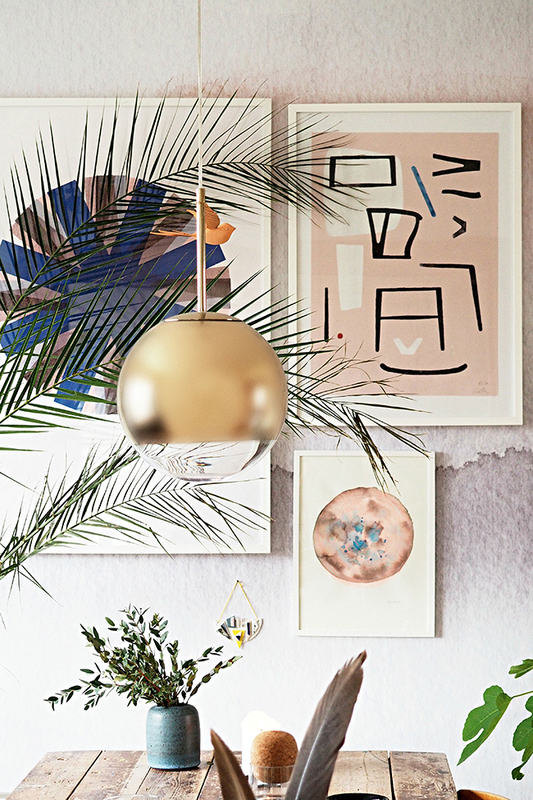 Interior blogs like yours helped me recognize, I can´t have a home I truly love love love unless I stop worrying about what others may think about my choices and start living my own stlye. Thank you so much for that! 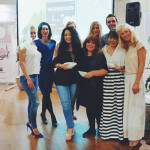 Plus interior design brings great people together from all over the world which is just great. The moment I see a mail from you I open it immediately. Interior design blogs like yours helped me to find my way in the UK since I live in France and now have a partner in the UK. I found my way to Home Sense and to some on-line stores you recommended and it helped me in the process of renovating the part of the Victorian house we inherited. Oh and I do read German…? Interior Design has inspired me to express myself at home by really thinking about my values and priorities, and trying to align them to the layout and mood I create at home, my haven. It is outer expression of my inner world, and our family world. Always having had a passion for pretty, eclectic and collected, interior design has taught me that it’s ok to mix and match, be bold, loud and proud, and most importantly, allow my spaces to reflect what visually and emotionally speaks to me. Thank you for sharing your gift via this blog and for the opportunity to win the book. And I need to find a way to get my hands on this book because my daughter is majoring in German (and Journalism) in college, in her senior year right now, and plans to try to work in Germany or England for at least awhile when she graduates next year. She studied in Berlin last year and loved living and traveling “across the pond.” She would adore this book. Of course I would have to absorb it’s wonderfulness first!! Currently, I have a rental apartment. Interior Design has inspired me to creatively find ways to express myself and make my home feel like a home as oppose to just leaving it as a sterile wall and cheap furniture. As we all know, life is short and interior design has taught me to surround myself with beauty and things that make me happy and to enjoy it with the ones I love. I’ve always been shy of putting things on walls, using colour, prints and anything fun. Then when I came across your blog, followed by intense searches on Pinterest, I began to open my eyes and realise that I was living in a blank canvas. Since then you won’t believe how much my home has changed in these past few weeks. I actually have pictures on the wall. There are funky prints on my cushions. I actually brought a tin of coloured paint this weekend too! Seriously, you have inspired me. Your home is beautiful, vibrant and it reflects you. I only wish that I can achieve the same in my home! Interior design has given me a new lease of life. Whilst suffering from depression, I found myself house-bound and could only express myself and my emotions in terms of colour, texture and furnishings to decorate my home. All done via online stores. Choosing them made a huge difference to my limited daily routine and it was instrumental in getting me out of a very unhappy place. Interior design and blogs in particular have inspired me in my own decor by giving me the confidence to try out bold colours, to experiment, to not be afraid of making mistakes. To be comfortable with the fact that not everyone will like your choices, and that’s ok! That books looks lovely! Right now, I’m eyeing a pair of muted leopard print chairs for my kitchen…trying to decide if I should take the plunge into animal prints! I’ve been following you for a few months now and you’re my favorite decorator on the planet. I’ve always been afraid of color in my own house, but loved it in other’s home. I was chicken (and old). I said to myself, what the heck. If I don’t get color In my house now, I never will. Remember, I’m old. Glad to say that because of your inspiration, I have some beautiful colors throughout my home. To be perfectly honest, I simply copied your home. Somethings I couldn’t afford and somethings I couldn’t find on-line. But, I’m Swoonworthy in a country town in the State of Alabame, USA. I even ordered your decorating books you have displayed! before i read design blogs i had an idea of what a designer was… now i am a fan of the design bloggers/designers who push the rules aside to create beautiful personal spaces…. so i’ve learned to embrace who i am and show it in my own decor. My husband and I have owned a home for a little over two years now and this is the first house that’s truly our own to decorate. We live an old home with tons of charm and character. I have seen a significate change in my taste and décor from interior design inspiration found in blogs/pinterest/magazines. This inspiration has given me confidence to step out and try new things with design that I would have never dreamed of before! I have loved interior design since I was a kid! My friend used to make fun of me because I would rearrange the furniture in my bedroom all the time. Design books are my addiction (when I can afford them) and this one would look great on the table next to my Domino book! i’ve been inspired to make my home more “me” and create a space that i love and makes me happy. it’s still a work in progress, but it’s a really fun process! I’ve been able to create a space that I can call my sanctuary. It inspires me, motivates me, gives me an energetic sense of productivity and peace. I feel my best when surrounded by beauty and my treasures. Interior design is a way for me to make my home reflect who I am, and after so many years of living in rented apartments with really restrictive rules on decorating that’s so important to me! When people walk into my house I want them to get a little glimpse into my personality, and now I can make that happen. I Love decorating my home! I subscribe to a zillion different home blogs (yours is def tops on my list), and I get different ideas from each one, and my home reflects that, but it all goes together. I think seeing all your leopard influenced me in buying leopard dining chairs! Interior design has inspired me to surround myself with meaningful items that I love and make me happy even if it isn’t trendy. You are my idol….fearless and free with your designs. I so enjoy your emails! You have given me permission to use my adored leopard in interior designing – although it’s not popular here in Beirut, Lebanon, lol….We moved here to retire – from So. California 3 years ago – to the childhood home of my hubby. It’s been hard for me as an American, to try and conform to the design culture here too! But, with inspirational bloggers like yourself, and such enticing pictures…..I’m trying to do what makes me happy! This book, with all it’s beautiful pics, would be a blessing. Everything here’s in Arabic – which I don’t speak, so what’s a little German – lol….??? Since I’ve started reading interior blogs I realised how to go about creating a space that feels right for me – just for me, not for guests that might just stay for one evening or a few days, or for my mother or for a TV crew (because clearly those TV folks just randomly come into people’s homes to judge them, right?). I finally learned how to pinpoint what exactly it is that I like in a picture – is it the colours? The furniture? Texture? Light? How can I recreate it so that it works for me, my space and my wallet? And CAN I do it myself? How long will it take? And of course, thanks to blogs like yours or Maggie Overby or YHL or Emily Henderson I was able to look “behind the scenes”, so to speak, and find out that even the pros don’t just do their thing in a few hours, without a hitch, without money constraints. One of the best moments in my life was when I painted a corner of my living room with yellow horizontal stripes. None of my friends liked it, but they all said: “Well, as long as YOU like it …” And you know what? I did. And it really was the only thing that mattered. Design has inspired me in the sense that I’m not a big consumer. My space is mostly filled with pieces handed down to me. Needing to make them look fresh and intentional has led me to the world of design. And it has led me to my hobby in refinishing. Yes I’m the crazy lady out there stripping, sanding and finishing. Besides it’s just fun. Interior design has inspired me to think “out of the box”, it’s ok to have very dark walls and step away from beige, whites and blah! 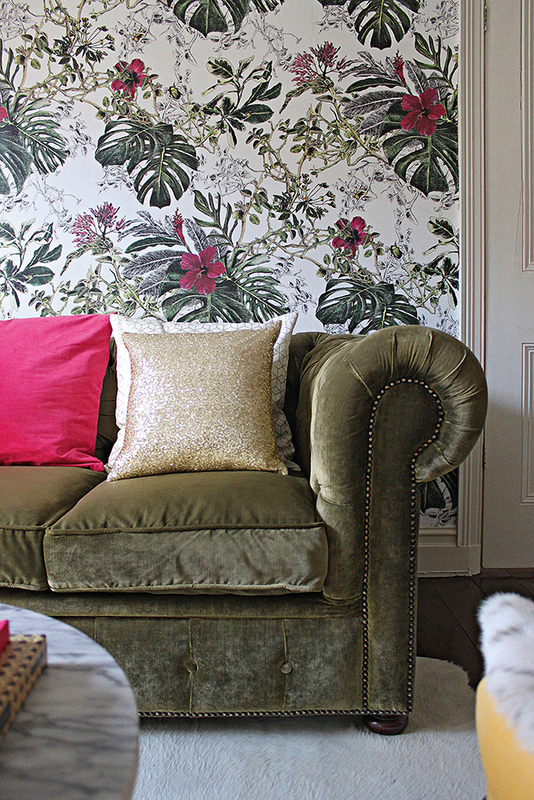 My 6 year old is now the proud owner of a beautiful green & grey room with hints of pink,gold & leopard print. Not to mention the gold print “and though she be but little she is fierce”. I am inspired to make our home fun! Interior design has inspired me to mix patterns and color, which I love! Interior design has inspired me above all to take risks with my interior decisions; some work , others are best forgotten about and are kept between my hubby and me ;) ! 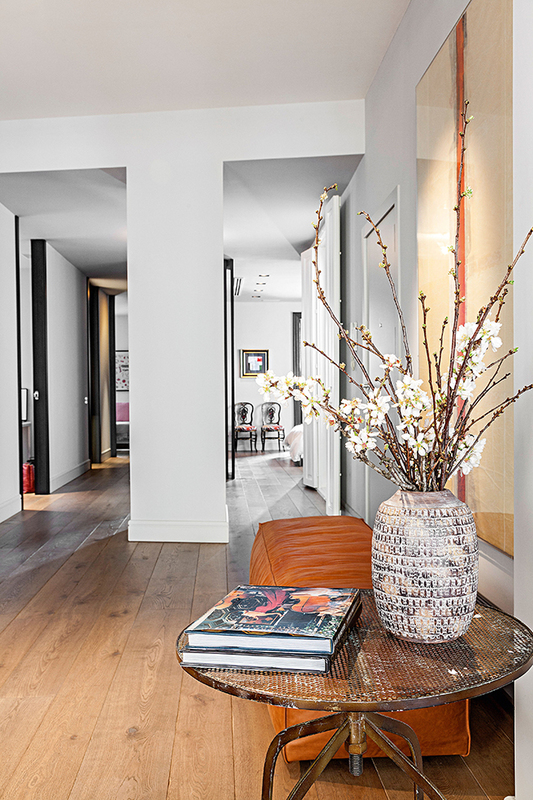 Interior design for me is expressing my personality within the framework of my home. Love it so much as I’m such a home bird and love nothing more than cuddling up with my family and enjoying the home that we have created. Interior design has inspired me to reflect both my husband’s and my taste in our shared home. I always had a very strong sense of what I liked and disliked and now that I have to consider someone else’s point of view, it changes everything – but in a good way! Your blog aka interior designs has shown me that BOHO GLAM & ECLETIC are more my style that lets me add all the color and vi va boom glam thru all out my house and each time I enter it always am thankful how much I enjoy making it mine.. ..Your blog is SO AWESOME and always enjoy reading it ..Thanks .. Interior design has inspired me to search inside myself and be who I really am through the expressions of my home. Not an easy task! My friends and family have always laughed when no matter how hard I have tried a room always turns out in a colour as near to magnolia as I can get! A dramatic change in life has given me more space but less money so I have been looking for easy and affordable ways to decorate and incorporate vintage pieces I have grown up with. You see things from a completely different angle and perspective than me and I have experimented with some great results. I am currently saving up for RED stair and hall carpet thanks to your love of all things dramatic!! Interior design is now longer a quick flick of paint and moving the furniture around but a ‘lucky dip’ of things I already have and interesting things I notice when out shopping or exploring. If I can’t be me now then I never will!! Interior design has shown me that my home doesn’t have to be like someone else’s taste, it could be filled with things I like and how I like it. Interior design (i.e. you!) 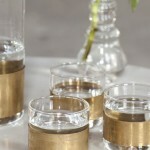 has inspired me to inject more me/pizazz and oomph in my home. Looking at the challenges you’ve undertaken, the tweaks to existing furniture etc has made me realise what a blank and bland ‘safe’ style I had stuck to. Too scared to really do what I wanted for fear of what people would think of me.. Boom! No more! Thanks to you and Ash (Live Like the Boy) I feel bolder, happier and like my house is finally representing me. I see the quirky twists I have injected and I finally feel like my home is a home. Its like coming home to me. ;) Interior design is now something I feel safe playing with and I’m not worried about doing the ‘wrong’ thing anymore or making mistakes. Interior design has let me put together several decades worth of mementos from living pretty much all over the world in a fun and cohesive way. Interior design has inspired me to try something different so I no longer live in a beige box. It has made me take notice of fixtures and fittings everywhere I go. Upping my game has also inspired friends and family who are what I have done with my home to make changes to their own homes. For me, interior design is so much more than just decorating. It is an energy that makes people feel their best in their space. Through all the amazing interior design inspiration that is now so freely available (and that I can never get enough of! ), I am figuring out how to marry up my style with the styles of my loved ones to create a harmonious and beautiful home that we all love. The images in this post are so very beautiful; I’d be so excited if I got my hands on one of these inspiring books that I just know I’d be devouring every element of inspiration in it several times a day! 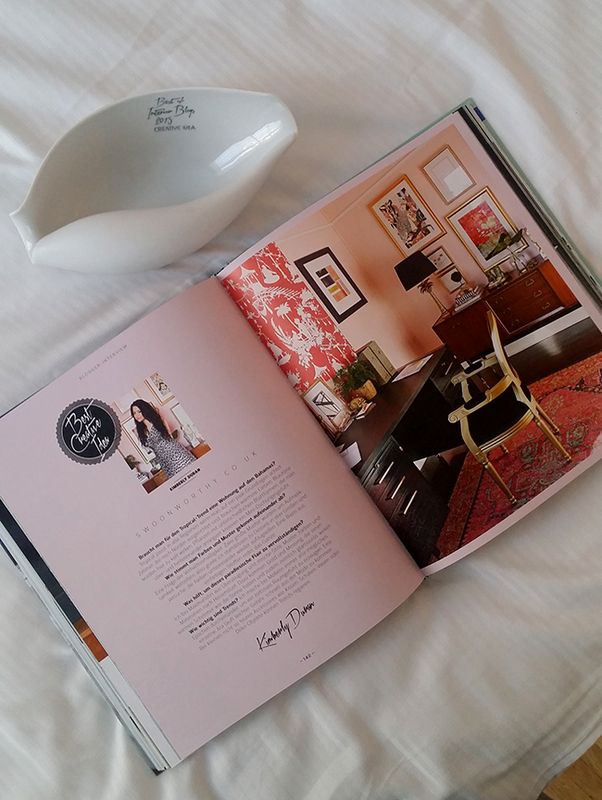 Interior design and blogs like yours and others have opened a window into a brand new world for me. Just being exposed to all things design has changed my tastes and given me the much needed confidence to experiment and try things I would never have thought possible before. I now like animal print and metallics thanks to you and yes you have convinced me to try mixing old and new, textures and letting go of sets and matchy matchy items. It’s an ongoing exciting joyrney, is it not? !